Your hands are your most important knitting tools, so it’s important to look after them! Merion has a few exercises and suggestions to keep your hands in tip top health! We rave about our favourite needles and notions and care for them with extreme reverence, keeping them safe and treasuring them, but rarely do we extend the same love and attention to our hands! Our hands are full of tiny bones, muscles and tendons that work together to enable us to be dextrous and supple – and I’m sure you all know the aching that can happen when we knit for too long, or with needles that are big or very small! We store tension in our hands and arms – and this alone can make our hands crampy and sore – and more severe problems, such as carpal tunnel problems, arthritis and rheumatism all contribute to painful hands when we knit. To keep your hands as healthy as you can, try these simple exercises before and after you knit – but please note, if you feel any pain, stop – and don’t knit when your hands are sore! Gently push the flat of your hand against a surface to stretch your wrists – remember never push too hard and stop if you feel any pain. Watch our handy video to guide you through some of our favorite stretches! There are many different lotions and potions on the market for knitters, but any good hand cream will do – keep your hands soft to keep yarn from snagging on dry skin. Keeping moisturised will help the yarn to move easily through your hands, and contribute to keeping your tension even. If you do suffer with hand pain caused by arthritis or carpal tunnel strain, there are needle options that might help. I have had carpal tunnel problems in both my hands, and have had surgery (which has been fantastic) – but I have found that shorter needles definitely helped with pain that shot up through my hands to my elbows. Use circular needles for knitting flat: it’s just the same as using two single point needles technique-wise, you just turn your work for each row, but the weight of the knitting is balanced along the cable rather than on one heavy needle. Try wood or bamboo needles: a wooden or bamboo needle in your hand is warmer than metal and will imperceptibly mould to your finger shapes. If you are a lace knitter and you’re worried about having smooth enough, sharp enough tips, don’t worry – finer point needles (2mm, 2.5mm. 3mm etc) are just as shaped and sharp as their metal counterparts. What are your top tips for aching hands? I love this (and I admit to being one of the ones who doesn’t do this as much as I should). Thank you for the reminder! Oh how I agree with you! As a retired Physio I know how important the care of your hands is. Also, I’ve found using circular knitting needles all the time has stopped the aching neck and shoulders I used to suffer from with long sessions of knitting. The arthritis in my thumbs has gotten so bad I had to give up needlework and crochet. Knitting was next on the list but I discovered the Portuguese method of knitting. This method uses the tension on the yarn itself to work the stitches and has made it possible for me to knit for long periods of time again. It has been a great discovery for me. Where can i find information on this type of knitting? 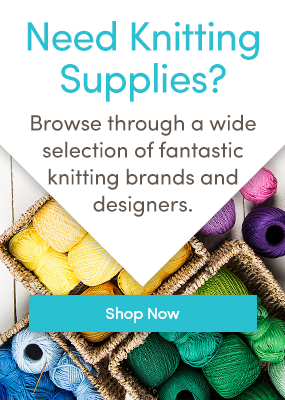 Craftsy.com has an online class on Portuguese knitting. There are lot of other classes as well. Does anyone know if crochet has the same health benefits as knitting? Its years since I did any knitting but I crochet all the time, so rather hope so!! I will try these hand exercises. Thank you for the tips. Sue, Yes, crochet is just as beneficial as knitting. I have arthritis in my hands and have found Knitpro cubics to be a godsend. They are even better for my hands than the bamboo needles I used previously. I bought just one pair to try and now have 2 sets in different lengths. I know they are not cheap, but to me they are worth every penny! And when knitting a shawl or blanket, circular needles are the way to go, as the absorb the weight of the project, taking it away from your shoulders. To help with massaging my hands & wrists, & to keep my skin soft & supple, I not only use a cuticle oil when I massage my finger tips (which helps keep the joint loose & cuticles moisturized to cut down on dry, cracked cuticles & hangnails), I also use a thick hand cream before & after knitting. I massage the cream into my hands & wrists, using small circular motions & as well as stretches. Once the cream is completely massaged in, I’m relaxed, focused & ready to knit! I find if I use circular needles, when I need to put it down, I just push the knitting onto the wire part and when I pick it up again, I have not dropped any stitches. I am another user of Knit Pro Cubics and can only agree with the benfits. I have them in all sorts from Double-ended for socks and hats to Circulars for everything. Tips and Wires are also available so to cut cost a little it`s possible to buy Tips in different sizes and Wires in an assortment an of lenghs ranging from 40cm to 150cm. So a lot of projects can be covered easily. I also suffer with arthritis in my hands and thumb joints and have found squeezing a sponge in warm soapy water for a few minutes also brings relief! Raise arms to shoulder height Make fists and rotate wrists, one way then the other, then spring fingers out and stretch as far straight as possible and hold for a few seconds. Place palms on knees, press firmly and spread palms and fingers out. while arching fingers up slightly. Holding fingers straight, push each one gently against the top of a table. Don’t forget shoulders and neck too. Shrug shoulders hard together, and let go. Hold head,neck, back inline, and turn head left and right slowly several times, then face forwards and left head roll forward, chin to breastbone. I use Burt’s Bees Hand Salve b4 knitting, not greasy on the hands or yarn. A great read. Thank you. But what nail varnish are you wearing. It’s a beautiful colour. Thank you Helen! How kind! The nail varnish was filched from my daughter’s collection – it’s from Claire’s Accessories and the shade is 30888, Foil Effect! I always have at least 4 projects going at the same time, and each one uses a different size needle. I alternate among 15, 8, 6, and 4 currently. When one project starts to cause discomfort (of if I get bored with that pattern or color) I stick it back in its bag and pull out another project with a different sized needle. Works wonderfully. BTW, circular needles have always been my favorite – for just the reasons you cite: length and balance. Thank you for this great blog. It is packed with great information. I still consider myself a beginner to knitting. What size circle needle is good to start with? Thank you. Thank You so much for this advice. My son and daughter are studing Oriental Medicine and they help me with excersises to do. The ones you mention are all included.